This is another post for the Small Living Series I've been doing with a group of amazing women all over the world! I love being part of this community and I hope you take the chance to read some of their stories linked at the bottom of this post. It's funny that I'm writing this "how did we end up here" just weeks before we move away. We're selling our home and renting a different one a town away. The square footage won't change much, but I know that's probably the only thing escaping big changes. So while I could talk about how my husband and I ended up here, I think I'll talk instead about the lessons we have learned as we look back. As I mentioned in a previous post, moving into a two bedroom townhome at the time 4 years ago seemed pretty typical. It was just us and we didn't feel the need for a "legit" house with a yard and more rooms and bathrooms than people. We just are very budget conscious and the price range we could afford was a townhome. It's not a very romantic story- but that's the truth. We didn't drastically change our ways and downsize to "start over". Our story was only just beginning. But what have we learned since? A few things. Probably the biggest thing we've learned is that life happens and with our life came kids and STUFF. Our big roomy two bedroom didn't feel as roomy as soon as my larger-than-life daughter came into this world. Again, we're pretty frugal/budget friendly and I personally am kind of cheap, so we didn't have all the new baby gadgets and toys and equipment for every stage. But we still had plenty of stuff to take up plenty of space. Soon shelves in the garage were built to store things. Her bedroom went from a simple nursery to a play space to now a bedroom for both kids and a place to play. Our home has evolved right along with us and we have really loved it. But a big shift has come over our home and family the last 4 months after I discovered Minimalism and implemented it into our family. Bart caught on pretty quickly because he was too busy to care otherwise (insert emoji here ;) He has appreciated my new habits and I think he's starting to see the lifelong changes I have made and is no longer thinking it's some fad I'll get over. As I pack up our home I can't help but be thankful I discovered simple living and minimalism when I did. I have thousands of less things to put in boxes and move across town. I'm not as stressed about the things and the errands and the "we need that" and I've been able to slow down and enjoy the ride. So while our first move into a small space wasn't based on the notion that "less is more", this new place is. We didn't look for the biggest house we could afford to rent. We focused on things that mattered more than square footage (location, price, quality) and found the perfect space for our little family of 4. It adds a few hundred more square feet, but takes us down from 2.5 bathrooms to one. Its going to be enough. Big enough. Nice enough. Because if I have learned anything these last few months, it's that we don't need a lot of stuff or a lot of space. "Enough" actually starts to look like "plenty" and the gratitude for everything you do have grows exponentially. We have a lot of love and a lot of dreams and living simply is helping us accomplish those goals and dreams in record time. For now I don't have a big amazing story of "how we ended up living this way", But I know that down the road we will be able to look back at the beginning of our simple living journey and have many great stories to tell. This Lovely Day-- "Tiny Transitions" : Follow along with Kate Shaw, a retiring Air Force pilot, as she transitions her family of five from living in a 3200 ft.² century home to a 900 ft.² downtown high rise condo in the city. 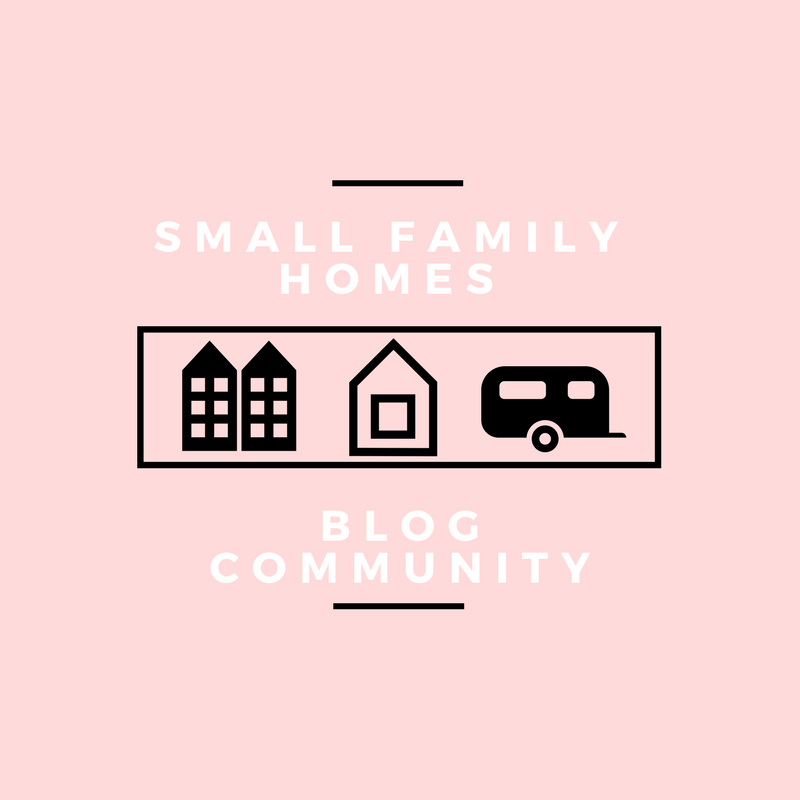 The Justice Pirate-- "Minimalism: My First Tiny House" : Once upon a time, a little girl dreamed of having her own tiny house and her dream came true...temporarily. Family Pedals-- "Finding Abundance in 1500 Square Feet" : In our culture it would be easy for us to view our house as a stepping stone to something bigger, something nicer. For us, the next step we’d like to take is to something smaller, something simpler. Hey, this is all really wonderful even if it isn't an over the top story to share. It is great how we can grow and gradually change or sometimes rapidly change too. Sweet!!
" "Enough" actually starts to look like "plenty" and the gratitude for everything you do have grows exponentially. We have a lot of love and a lot of dreams and living simply is helping us accomplish those goals and dreams in record time." So beautifully said! It is amazing how much shifts in mindset change how you view a space. I am constantly redefining for myself what it means to have "enough."